LEO RECORDS: CD LR 674: Tanja Feichtmair / Fredi Proll - Trio Now! Tanja Feichtmair - saxophone, Fredi Proll - drums, Uli Winter - celo, appeared on Leo Records before as a quartet with piano player Josef Novotny (CD LR 554 - LULL). This time, however, they promoted Josef to the role of sound engineer and recorded as a trio. 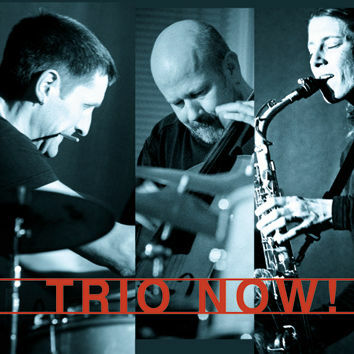 Tanja says that after many years of playing together the trio has become a really tight unit giving each other lots of space "to play with simple joy and light decisions." The breadth and depth of their playing, variety of moods, telepathic understanding of each other is really remarkable.